My English degree gave me lots of transferrable skills but there was no obvious career route for me to follow. After attending sessions arranged by the Careers and Employability Service, I decided I wanted a career in marketing. Most of my friends were going on to further study or had graduate schemes lined up, but I knew these weren’t right for me. My plan was to look for jobs after my final exams. Almost immediately after finishing my exams, I started looking for jobs. I signed up with a recruitment agency, who put my CV forward for temporary roles, and I applied for other roles advertised online. Most of the jobs I applied for I didn’t hear back from, but I persevered. As well as looking online, I went a bit ‘old school’ and looked in the Nottingham Post, where I found a job advert for a research and marketing intern at a digital marketing agency in Beeston. I applied, thinking that I’d be ignored again, but I wasn’t and I got the role. The internship involved researching travel insurance companies to inform the strategy that the agency would then pitch back to their insurance client. I developed a database of 138 travel insurance websites with information about their pricing, specialisms and marketing efforts. While it wasn’t the most thrilling project, it was a really great opportunity to immerse myself in agency life and opened the door to a really great workplace. Although the internship was only supposed to last three months, I interned for six, before being offered a full-time role. Initially I worked marketing the agency itself, assisting with PR campaigns, social media and telemarketing, but over time my role evolved into becoming an account executive on the website design and development part of the company. A year into my career, I decided to gain a formal qualification in marketing. While I had a lot of experience on the job, I wanted to consolidate that knowledge. 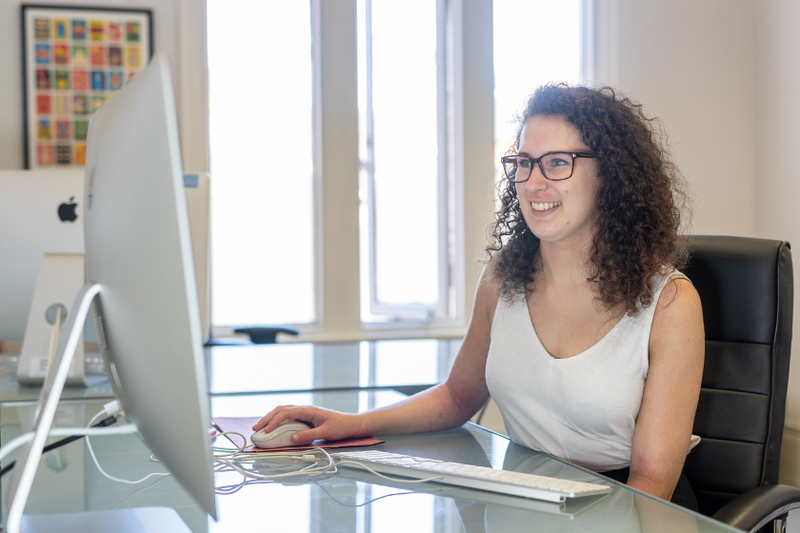 The IDM’s Professional Diploma in Digital Marketing was perfect as it allowed me to study at home after work, with online resources and webinars. It was hard, but I would really recommend continuing to learn while you work. Now, five years after graduating, I am working in a design agency as an account manager at RizkMcCay in Nottingham . Agency life is brilliant as it means working on a variety of projects across different sectors. Get advice on your CV. Interviewers often commented on how well written my CV was and that they see many that are riddled with mistakes. When we have written things ourselves, we can become blind to errors so get someone else to check them. I asked my mum to proofread my CV and I had a meeting with the Careers team to get advice on how to make it stand out. Talk to the Careers team. It’s easy to put off thinking about your career in your first and second years. However, make the most of the Careers team as their help was invaluable in getting me to where I am today. Make the most of your time at Nottingham. Get as much experience as you can while you’re studying. I volunteered at Surface Gallery (a volunteer-run art gallery in Nottingham) and was Treasurer for the English Society. Getting involved in extracurricular activities will bolster your CV, and help you figure out your strengths and interests. If you want to chat about your career options, talk to one of our team at a drop-in or book an appointment. As well exploring a career in marketing, we have lots of advice on applying for jobs and getting work experience on our website.